(Bloomberg) -- A big question clouding American politics for more than two years was whether anybody from President Donald Trump’s winning campaign assisted in Russia’s interference in the 2016 U.S. presidential election. Special Counsel Robert Mueller’s criminal investigation, in producing indictments against Russian nationals and former Trump advisers, dropped hints that some people in the Trump campaign had at least wanted to play ball with Russia. In the end, though, Mueller’s team concluded there was no conspiracy or coordination, just as Trump has long said. 1. What did Mueller conclude? 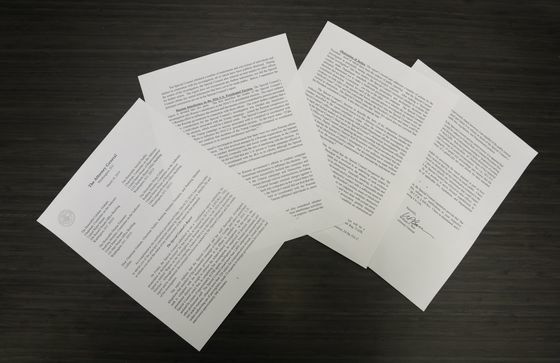 Mueller’s final report says the investigation “did not establish that members of the Trump campaign conspired or coordinated with the Russian government in its election interference activities,” according to the four-page letter Attorney General William Barr delivered to Congress. This was despite “multiple offers from Russian-affiliated individuals to assist the Trump campaign,” Barr wrote. 2. What clues pointed to the campaign’s involvement? 3. What was in those emails? 4. What other clues were there? 5. What did Mueller conclude about all this? That’s not known, since Mueller’s report to Barr is still secret. Democratic lawmakers have demanded the full report as well as the underlying evidence so they can pursue their own investigations. Mueller’s team of investigators and prosecutors charged six former Trump advisers, 26 Russian nationals and three Russian companies. 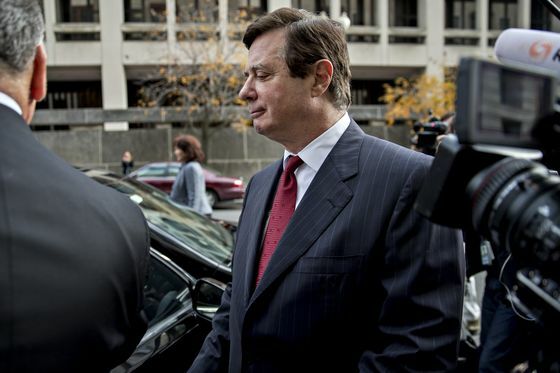 Five of the six former Trump advisers have pleaded guilty, though none to charges of helping Russia interfere with the election. 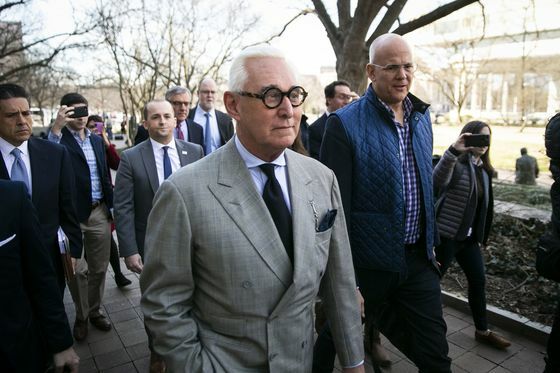 (Stone, the sixth, has vowed to fight his charges in court.) A former Federal Bureau of Investigation director, Mueller was called back into service as special counsel to oversee the probe. Eight days before his appointment, Trump had fired the head of the FBI, James Comey, who’d been a key player in the investigation. 6. How did this all begin? 7. And WikiLeaks got those emails from Russia? 8. How does Assange respond? 9. What does Putin say? 10. What does Trump say? He has always insisted that no evidence would emerge of “collusion,” which in legal terms would translate to conspiracy. Trump dismisses as a “total hoax” the suggestion that his campaign welcomed Russian interference. Bloomberg’s coverage of Mueller’s report. A Bloomberg Opinion editorial said the public needs to see Mueller’s report. Here are Russia-backed Facebook ads you might have seen in 2016. QuickTake explainers on impeachment and obstruction of justice. Looking back: People, Politico and the BBC on the biggest revelations from hacked Clinton emails. A QuickTake explainer on other investigations of Trump, his business and his path to the presidency.